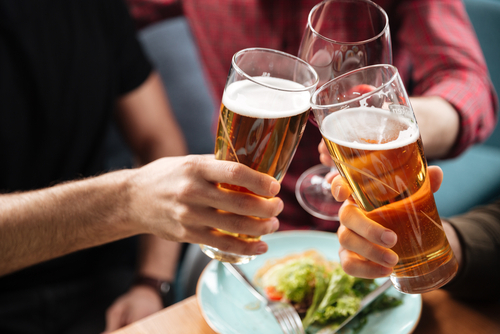 Beer is almost as old as civilization, with some estimates crediting the brewing and drinking of this popular beverage as far back as 5000 B.C. Ever since the first known written beer recipe, brewers have sought ideas on how to improve and enhance its flavor. The challenges faced by those brewers has always been how to maintain the essential taste and quality of the brew while minimizing production times. Creating a beer that is both appealing to the palate and holds its flavor has always posed a problem, thanks in part to ketones such as diacetyl. Diacetyl is naturally produced during the fermentation process. It is not thought to be harmful when eaten and can be found in food products such as microwave popcorn and margarine. However, unless it is eliminated during brewing, diacetyl will taint the beer with its distinctive buttery taste. 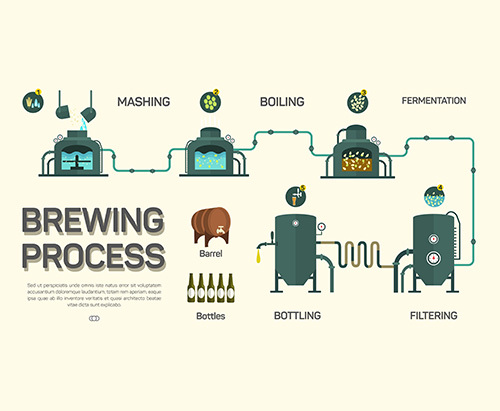 Beer is brewed from barley, boiled down with hops to release the malts and sugars. Yeast is added to start the fermentation process. The yeast dissolves the sugar, producing alcohol and carbon dioxide in the process. Finally, the beer is allowed to mature and ripen until it is ready for consumption. Depending on the temperature and types of yeast used during the brewing process, the end result will be a lager — a beer that is lighter in both flavor and color — or an ale, which traditionally has a deeper, richer flavor. Unless you’re drinking in a bar in a fictional wizarding town, the idea of buttery beer just seems wrong. However, that’s what you will get if you don’t eliminate the diacetyl in beer. This particular ketone occurs naturally, so the challenge has always been how to get the most out of fermenting without compromising the taste of the beer by tainting it with undesirable byproducts of the fermentation process. Both the beer producer and the beer drinker want to be sure that what goes into the bottle, container or keg tastes the way a good beer should. Diacetyl, as well as other spoilers of beer taste, can stick around through contamination. Keeping equipment clean during the brewing process is therefore not just important for good health and a quality drink; it will also ensure your beer holds as crisp and clean a flavor as you want. The good news is that yeast is clever enough to both produce diacetyl and then reabsorb it. So one of the easiest ways of eliminating the buttery taste is by using quality, fresh yeast. The older the yeast, the less ability it has to lower the diacetyl levels so that the taste is minimized or eradicated. It is also possible to remove the diacetyl by adding more yeast after the end of fermentation. This is called “krausening” and is often used to promote carbonation while at the same time reducing the raw flavor of an unmatured beer. Beer needs time to mature after fermentation. While this maturation period does not need to be long, there should be a decent period of time — anywhere from three days to two weeks — between the removal of the yeast, which signals the end of the fermenting process, and actually bottling or drinking the brew. If you are looking for a lager, the maturation process occurs at a lower temperature, between 40 and 55° F, whereas an ale requires about 60 to 75° F to mature appropriately. During maturation, diacetyl is finally reduced or removed. Brewers of lagers often find that using a process called “diacetyl rest” can also be effective. This is when the fermentation temperature is increased for a short time, which stimulates the yeast and increases its absorption rate. This step can be skipped for ale producers, as ales are fermented at a higher temperature. The difficulty many brewers have is that while the maturation process isn’t long, it’s also not something that you can hurry if you want to remove the buttery taste of diacetyl naturally. 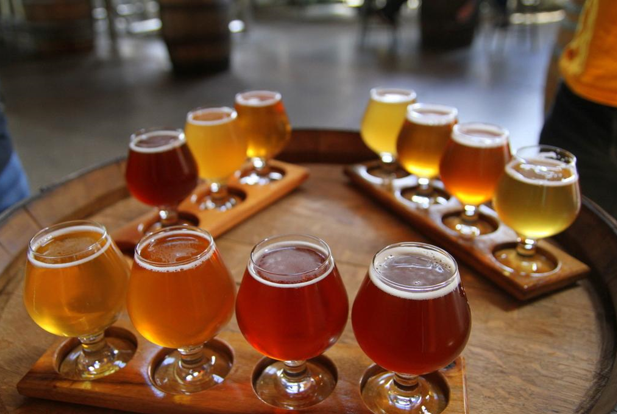 As a result, craft brewers are turning to enzymes that work faster on the removal of diacetyl while at the same time keeping the desired beer flavor. SEBMature L — also known as Alpha-Acetolactate Decarboxylase — has been shown to speed up the maturation process. This enzyme helps to remove the diacetyl by converting its precursor, alpha-acetolactate, into acetoin, which is more neutral in flavor and doesn’t taint the beer. Brewers of both ales and lagers are keen to have their raw mash converted into drinkable, tasty beer in as short a time as possible. The production of a good beer cannot be rushed completely, but thanks to the addition of enzymes at crucial times during the process, it can be cut down, thus allowing that perfect craft beer to be ready to drink when you want it.